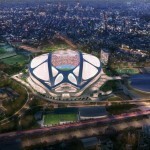 Urgent investigation required as use of plywood likely linked to tropical forest destruction and human rights abuses found at construction site of new Tokyo Olympic Stadium. 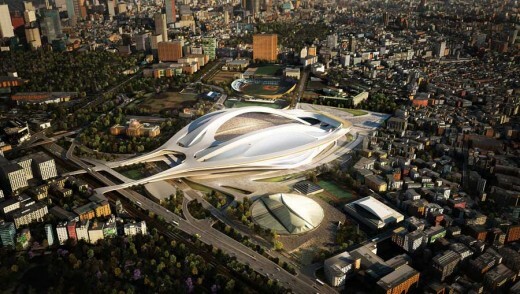 Tokyo 2020 Olympic stadium architect Kengo Kuma rejects accusations that he stole the design from Zaha Hadid, reports The Guardian today. 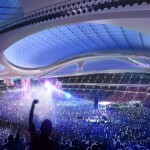 At a press conference in Tokyo on Friday. 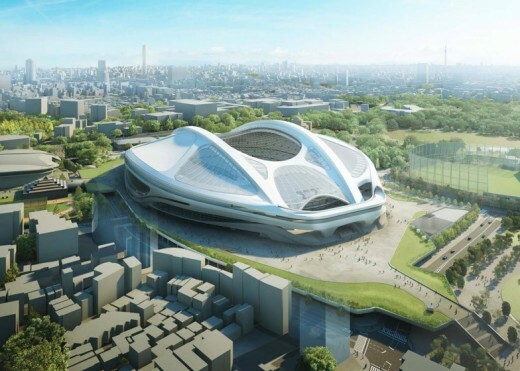 Kengo Kuma also denies that discrimination against foreigners had played a part in the decision to scrap the Zaha Hadid design. 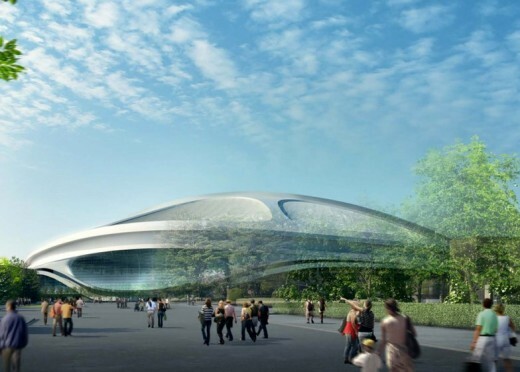 The background to this is that Japanese architect Kengo Kuma (and other celebrated designers such as Toyo Ito, Fumihiko Maki and Sou Fujimoto) criticised Zaha’s original design. 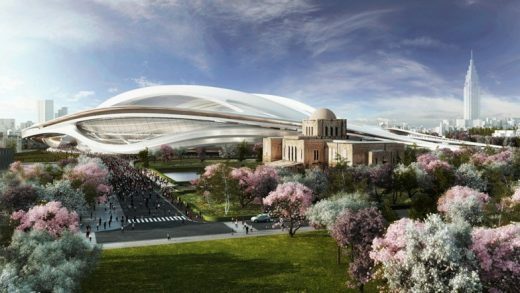 Also consider the logistics: ZHA worked on the project for two years, while Kengo Kuma had just 14 weeks to devise a design. 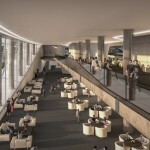 As an architect (working in studios since 1987) 14 weeks would be tight to properly design a house or small office. 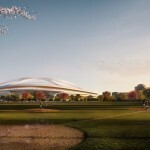 To design a major stadium building in that time is frankly preposterous. 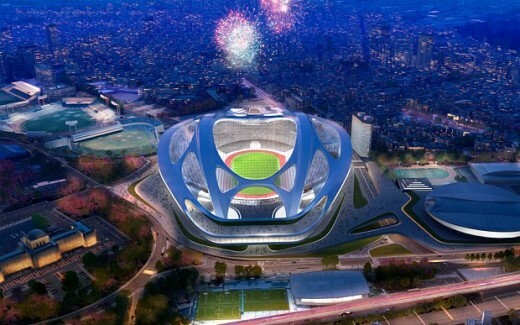 Zaha Hadid Architects, which won the original contract to design a national stadium in the Japanese capital, has reacted angrily to the attempt by the Japan Sports Council to effectively seize ownership of the copyrighted designs, reports The Telegraph, London, UK. 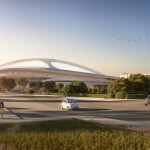 The dispute between Zaha Hadid Architects and the organizers of the 2020 Tokyo Olympics is one of the most acrimonious conflicts in architectural profession for years (London’s Garden Bridge is another!). 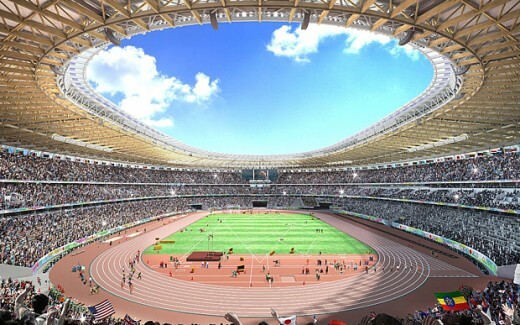 According to The Telegraph, the Japan Sports Council (JSC) is refusing to pay the British architect and her firm for the work they completed after initially winning the competition to design a new Olympic stadium. 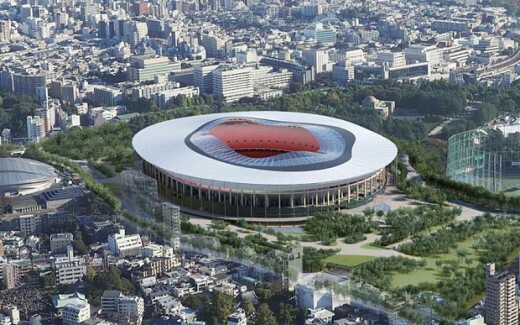 After scrapping the first design in July, the government picked a less-costly and greenery-rich plan by architect Kengo Kuma for the new National Stadium that will serve as the centerpiece of the 2020 Tokyo Olympics. 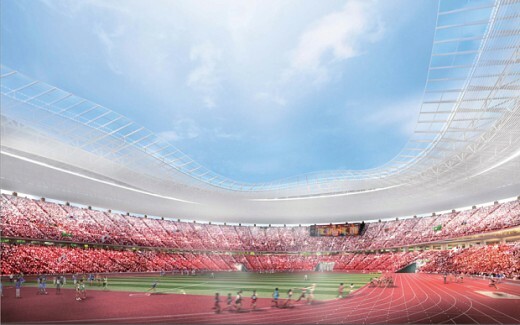 Japanese architects Kengo Kuma and Toyo Ito have unveiled rival proposals to build the 2020 Tokyo Olympic stadium, replacing Zaha Hadid’s competition-winning design. 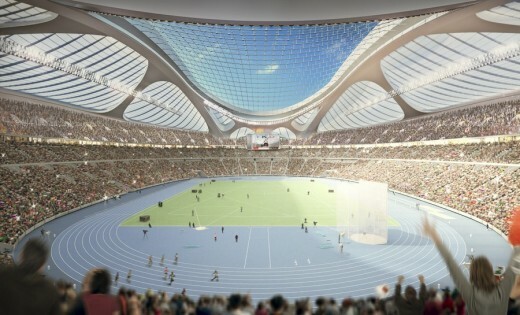 Design A by architect Toyo Ito is estimated to cost ¥153 billion. 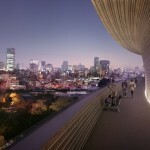 Design B by architect Kengo Kuma is estimated to cost ¥153.7 billion. 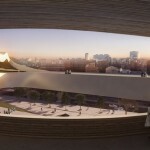 ZHA had worked on the project for two years. 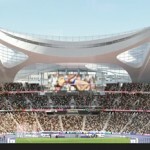 The fact that both Kuma and Ito had joined the petition to scrap Zaha’s design leaves a slightly bad impression. 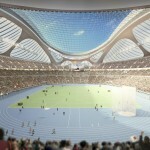 The design by Zaha Hadid Architects was costed around ¥265 billion. 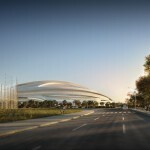 The winner is due to be announced at the end of 2015. 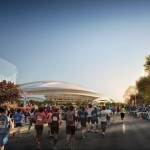 Designers behind both proposals have stated that they would be able to complete them by the end of November 2019 – over a month before the January 2020 deadline requested by the International Olympic Committee, reports the Daily Telegraph. 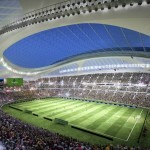 The new stadium will not be ready to host the 2019 Rugby World Cup as initially planned, but the new project will remain the centrepiece for the 2020 Olympic Games. 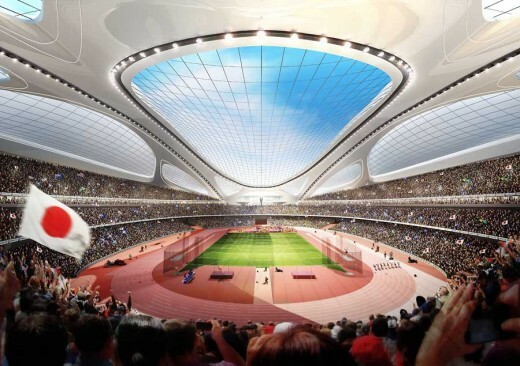 Nikken Sekkei LTD: Nikken Sekkei has proceeded with its preparations to team up with Zaha Hadid Architects for developing a proposal for the New National Stadium design & build competition. 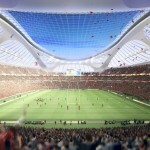 This architecture competition requires capabilities in planning and design, construction and construction supervision, and requires design firms to form a consortium of firms covering all these capabilities. 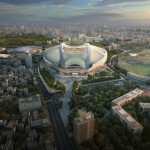 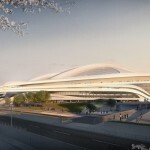 Zaha Hadid Architects: “It is disappointing that the two years of work and investment in the existing design for a new National Stadium for Japan cannot be further developed to meet the new brief through the new design competition.